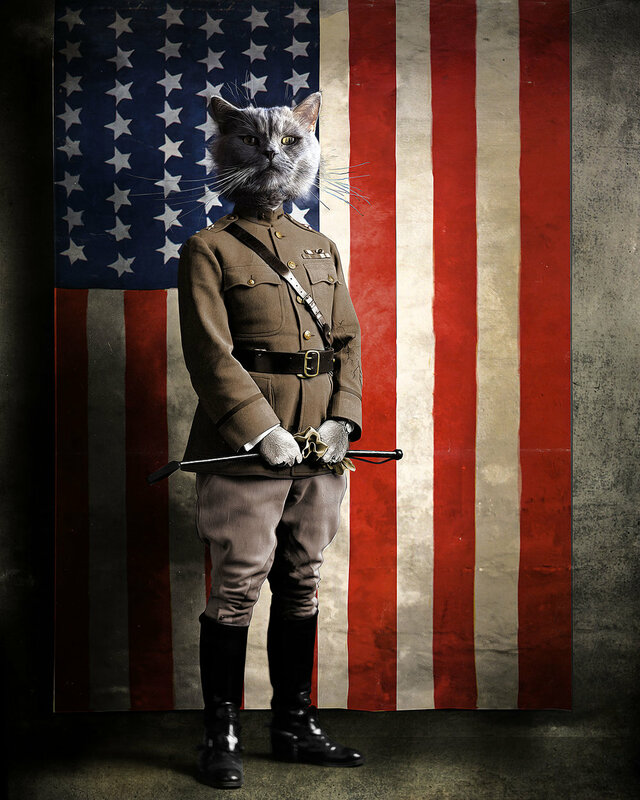 Felines have a tendency to authoritarianism in their selection of leaders, their love of uniforms as well as conflict in general. This tends to explain populist movements of the time and there disastrous consequences. These images are displayed in 3:4 vertical format for design purposes. If an image appears cut-off or incorrectly cropped clicking on it will display a correctly formatted image, image details and back-story as well as purchase information. Scroll down to the bottom to see all other product categories. Can't find what you are looking for? Click this link to send me an email or call (314) 960-2079.